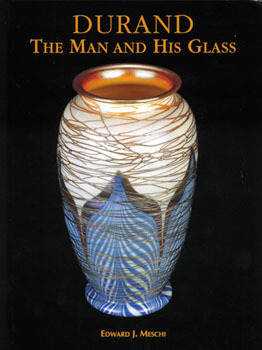 Durand art glass stands among the finest in the world for its beauty and innovation, and may well be the only major art glass that was created for artistry first and secondarily for profit. This beautiful identification and value guide features countless unique art glass items as well as an extensive and stunning full-color section. Between the exquisite lamps, shades, bowls, vases, etc. you will find the complete history of Durand glass, a thorough value guide, signatures, index, and much more important information. This excellent guide will be of extreme value to collectors, and the breathtaking illustrations will be cherished by all.